Welcome to Extra Gear! 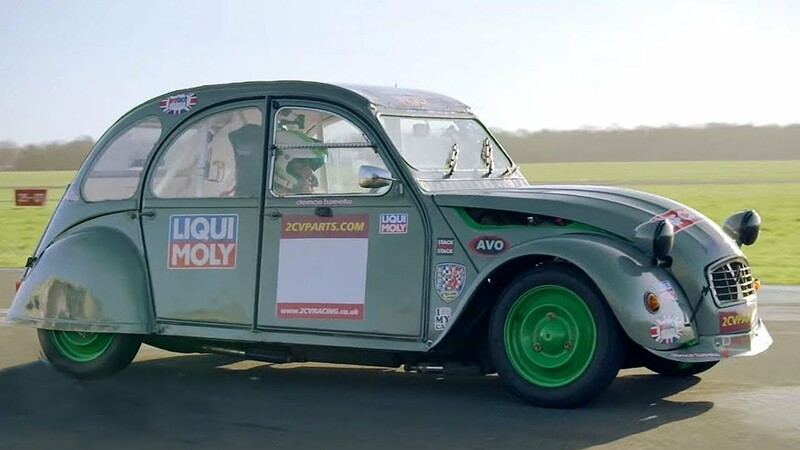 Chris Harris drives the Citroen 2CV around the Top Gear test track. Subscribe to Top Gear for more videos: http://bit.ly/SubscribeToTopGear Taken from Extra Gear: Series 3 WATCH MORE TOP GEAR: Extra Gear: http://bit.ly/ExtraGear Series 23: http://bit.ly/TGS23 Chris Harris Drives: http://bit.ly/ChrisHarrisDrives MORE ABOUT EXTRA GEAR: Top Gear fans get the chance to go behind the scenes of the world’s favourite car series in this companion show, filmed in the famous Top Gear studio. Presented by Rory Reid and Chris Harris, Extra Gear has exclusive new footage, interviews and specially-recorded films. In each show, Rory and Chris are joined by a special guest from the celebrity or motoring world to reflect on that week’s episode of Top Gear. MORE ABOUT TOP GEAR: Want to watch a bit of Top Gear on the internet? Welcome to the most comprehensive collection of official clips you'll find on YouTube. Whether you're searching for a caravan challenge, Ken Block in the Hoonicorn, cars versus fighter jets, Stig power laps or the latest Chris Harris Drives, you can find all the iconic films here. Make sure you're subscribed to the official Top Gear YouTube channel: http://bit.ly/SubscribeToTopGear This is a channel from BBC Studios, who help fund new BBC programmes.